No doubt the years since True Father passed have been difficult for True Mother. But it should not surprise anyone that her course would be difficult. As the Original Eve, she is the pioneer for the entire female gender. She has obstacles to overcome that are uniquely her cross, which True Father, as a man, did not have to deal with. Proclaiming herself the Only Begotten Daughter is her way of directly facing this task. Mother has no victorious representative of womankind as her feminine forbearer. In fact, she alone carries the burden of all the pain of womankind through history, going back to Eve. Mother has to deal with the fact that after the Fall there was no respect for Eve whatsoever. People have a better feeling about Adam; he was somehow redeemed by Jesus as the victorious Second Adam. But not Eve. She was always associated with the Fall and failure. At the Fall, Adam was brought low because he followed Eve. The woman led the man to ruin. This led to the widespread view that no woman is worthy to be the leader of men. As a result, fallen societies always put men on top, while women were treated miserably, even as the man’s property to do with as he wished. To make matters worse, this patriarchal attitude belittling women was inscribed in scripture, which led believers to justify it as if it were God’s way. The Bible, after all, was written by men. We search the Bible in vain to find the name of Noah’s wife, Lot’s wife, or the names of Adam and Eve’s daughters. No angel stayed the hand of Jephthah when he offered his daughter as a human sacrifice (Judg. 11:34-40), the way it stayed the hand of Abraham when he was about to slay Isaac. Polygamy became a norm, the atrocious practice even perpetuated in the modern era. Men made things worse than they needed to be, continuing to harshly judge women while making themselves the arbiters of faith despite their own wrongdoing, and thinking their attitude justified by scripture. Such male attitudes towards women continue to this day. They think that because men like Moses or Muhammad went out into the wilderness to find God, women who stay in the kitchen don’t have the same access to the Divine. Or that since Jesus Christ was a man, only men have the holiness to be his representatives. We see it in churches that do not permit women to be priests or pastors. This has given a tremendous burden to all women, and to True Mother in particular. The burden persists, because despite that True Parents restored the mistakes of Adam and Eve and declared the opening of the Age of Women, the church never operated under women’s leadership, or gave women respect and authority equal to that of men. True Mother carries that cross, having taken the reins as a true woman leader despite the persistence of patriarchal attitudes among humankind and even among church members. Christianity named Eve a sinner, and taught that the only way womankind can find value is to unite with the male Messiah, who came to shed his blood on the cross for our sins. Believers in the Unification Church who kept to that mindset thought that True Mother’s fundamental value was as the Bride of the Lord of the Second Advent. Coupled with the patriarchal attitude that men should be the arbiters of all matters of God and faith, they regarded True Mother as only Father’s object, follower and supporter. With the exception of her role as the mother of the lineage, they didn’t see her as fully a True Parent. Hence, when True Mother began her own ministry and determined to edit the Cheon Seong Gyeong, they bristled at the idea, accusing her of violating True Father’s instructions. They failed to recognize that True Mother is a True Parent in every sense, and therefore she has the full authority of True Parents to edit the Cheon Seong Gyeong to polish the jewels of True Fathers’ words. Those patriarchal attitudes may have been justified in the era of restoration. But they are not appropriate for the era of Cheon Il Guk, the time to institute God’s original ideal based on the Principle of Creation. At this time, there needs to be a fundamental revolution in attitudes towards women. Providentially, God intends for this to happen, and for this reason True Mother was born 23 years later than True Father. This period of True Mother’s leadership is part of God’s providential plan. In the world that operates according to the Principle of Creation, the four-position foundation is established based on the three objects purpose where any of the four positions can take the subject role vis á vis the other three. Now, with True Mother taking the subject role because she is on earth, she has the love and support of True Father in heaven as well as Heavenly Parent. In their eternal bond of love there is equality of love, participation and inheritance. Because the church that so honored her late husband has had difficulty adjusting to her leadership after his passing, True Mother understood she needed to affirm her own merit. That is why it is providentially important she lift up the title “Only Begotten Daughter.” As Only Begotten Daughter, Mother’s value is for who she is, not only because of who Father is. She needs to claim this position and stand on it to take a firm hand in leading a church steeped in patriarchal culture. This title is a rebuke to those who still regard True Mother’s value as entirely because she served and attended True Father. By taking on the title of Only Begotten Daughter, she desires to change members’ mindsets so they never again have a basis to belittle her status or dispute her authority. Mrs. Hak Ja Han Moon addresses participants at the 23rd International Conference on the Unity of the Sciences (ICUS) in Seoul on Feb. 4, 2017. All women have inherent value which is every bit equal to the value of men. They deserve to live and find fulfillment without being belittled or abused by men. More than that, they are no longer willing to take it for granted that it is a man’s world and their purpose is mainly to support their men and find value in producing and raising sons. Furthermore, women have a different perspective on life than men do. Their love is feminine love, rooted in the feminine side of God—in Heavenly Mother. So is their thinking. Yet, too often their intellectual insights as well as emotions are belittled by men, who are accustomed to only considering a man’s point of view in dealing with life’s essential challenges. It is no accident that all over the world women are rising up and making their voices heard. This worldwide phenomenon is occurring at the same time True Mother is standing up to patriarchy and taking the reins of leadership in the Unification Movement. Women are stepping forward, often at great risk, to assert that their dignity and value as God’s daughters is equal to that of men as God’s sons. The road to women attaining their full value has been rocky and fraught with setbacks. Women do not automatically reap the rewards of this new Age of Women. Any shortcoming is likely to be magnified, and a woman who aspires for leadership may have to work twice as hard as men to earn people’s respect. When True Mother says she is God’s Only Begotten Daughter, she is taking a stand for the value of all women as God’s daughters. 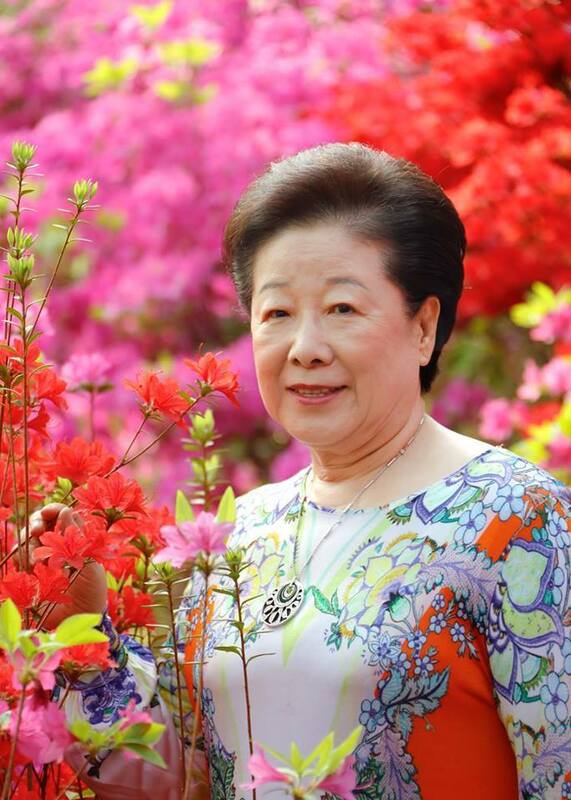 Her thorny path to establish that position amidst persecution from within the Unification movement is fundamental to women everywhere realizing their full value. I hope that in the future the Family Federation will speak out more about this issue, proclaiming True Mother’s work as uplifting women everywhere. True Mother’s struggle is not only an internal matter. In fact, she is riding a cosmic wave of feminine uplift that is moving throughout the world. Some sincere Unificationists are uncomfortable with the title Only Begotten Daughter because it speaks to a prior stage in True Mother’s life before she became True Parents. The True Mother we know and love is not just a daughter of God. By joining with True Father, after all, she rose to the noble position of the Great Mother of humankind. Nevertheless, while she could have rested comfortably on her position as True Mother, Hak Ja Han has chosen to proclaim herself the Only Begotten Daughter. It would have been easy to always be called True Mother and lean upon True Father’s broad shoulders. Yet, despite personal cost, she chooses a title that expresses her own value independently of True Father. Our faith is to honor her intention in proclaiming herself thus, trusting there is a providential reason why Heavenly Mother is prompting her to proclaim it, for the fulfillment of the Will. Therefore, when men lovingly and faithfully attend the Only Begotten Daughter, they are taking steps to restore equality and balance to a humanity that throughout history has been ruled by archangelic men. They are affirming that Eve has restored her dominion over the Archangel. Further, they assuage the painful and frustrated heart of Heavenly Mother, who has been trampled on, insulted and abused throughout history. By setting up True Mother to be 23 years younger than True Father, Heavenly Parent made sure that after his passing she would be in the position to lead the church and carry out this important mission. She could not begin it while True Father was still alive, but God arranged it so that after her husband’s death she could begin it and fulfill it. Now she has begun. By proclaiming herself the Only Begotten Daughter, she is taking care of the business of the providence, even at great personal hardship.